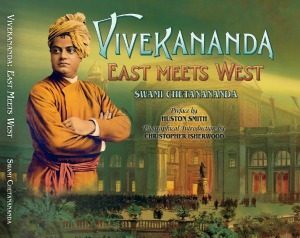 Vivekananda once said, “I have a message to the West, as Buddha had a message to the East.” And the message was Vedanta. Culled from his collected works, this volume presents in a clear and concise form the tenets of a religion which has evolved over the course of five thousand years. This is a living Vedanta put forth by an extraordinary mind. If you want to know India, study Vivekananda. In him everything is positive and nothing negative. …Swami Vivekananda’s writings need no introduction from anybody. They make their own irresistible appeal. 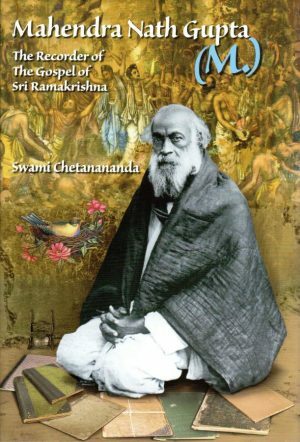 Swami Chetanananda has selected 104 powerful essays from Swami Vivekananda’s mature period, 1893 until his death in 1902. No Vivekananda reader to date has done better. It should be enough to whet the intellectual, spiritual, and moral appetite of every thinking individual. 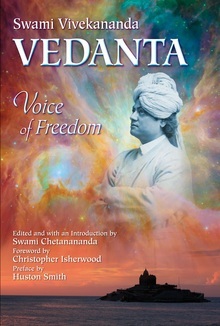 Judiciously compiled from the works of the most articulate expounder of Vedanta, Vivekananda…He proved that the grandeur of India’s ancient wisdom-tradition has not lost its appeal, in fact can fuel the search for profounder values and meanings in contemporary theology, psychology, and philosophy. …a master religious educator. He [Vivekananda] is a pedagogue who uses story and illustration, human experience and common sense, to articulate philosophical and religious insight. A large bibliography now exists for a study of the Hindu tradition – all by western scholars, usually Christian or Jewish, but here is a study of a Hindu articulating his own faith experience. As such it cannot be ignored. It should be recommended as an introductory text to students of the Hindu philosophical and religious traditions. 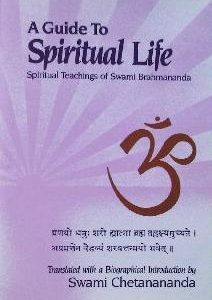 This volume consists of a series of lectures that reflect the essence of the Vedanta message. The selection, taken from the collected works of Vivekananda, is broad in scope. …enhancing the value of the book are photographs, an extensive glossary, and an index. Recommended as a useful addition to libraries and personal collections that deal with Indian religion, comparative religion, and the cultural interaction between American and Indian cultures. 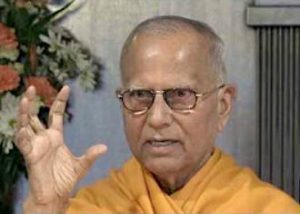 The Vedanta system begins with tremendous pessimism and ends with real optimism. We deny the optimism of the senses but assert the real optimism of the supersensuous. That real happiness is not in the senses but above the senses, and it is in every man. The sort of optimism which we see in the world is what will lead to ruin through the senses. Abnegation has the greatest importance in our philosophy. Negation implies affirmation of the real Self. Vedanta is pessimistic insofar as it negates the world of the senses, but it is optimistic in its assertion of the real world. The internal universe, the real, is infinitely greater than the external, which is only a shadowy projection of the true one. This world is neither true nor untrue; it is the shadow of truth. “Imagination is the gilded shadow of truth,” says the poet. We enter into creation, then for us it becomes living. Things are dead in themselves; only we give them life, and then, like fools, we turn around and are afraid of them or enjoy them. There is no possibility of ever having pleasure without pain, good without evil; for life itself is just lost equilibrium. What we want is freedom – not life, nor pleasure, nor good. Creation is infinite, without beginning and without end – the ever-moving ripple in an infinite lake. There are yet unreached depths in this lake where equilibrium has been regained; but the ripple on the surface is always there. The struggle to regain the balance is eternal.